I was burnt out and at my wits' end when I asked beauty and wellness guru Amy Lawrenson just what the heck I should do to sort myself out. She suggested a sanctuary I had never considered before, and for that I am truly grateful. I was looking for an out-of-town spa where I could truly switch off and spend some quality time with my dearest friend whom I hardly get to see. I needed somewhere that didn’t feel hipster-ridden or overhyped, just somewhere that was luxurious and comfortable, reliably good quality and friendly. I also needed somewhere I could get to fast—time is of the essence and a four-hour journey to some remote location just wasn’t going to cut it. Her recommendation? The Grove Hotel and Spa in Hertfordshire. It may not be the flashiest or win prizes amongst those who just want to go to the “hot new thing,” but boy, does it do the trick. I arrived knotted and stressed. I left blissed-out, full of delicious food and merry from the QT I’d been able to spend with someone important to me. Here’s what we did and what we loved about The Grove. Oh, and so you know, we’re making this an essential annual trip from now on—see you there! 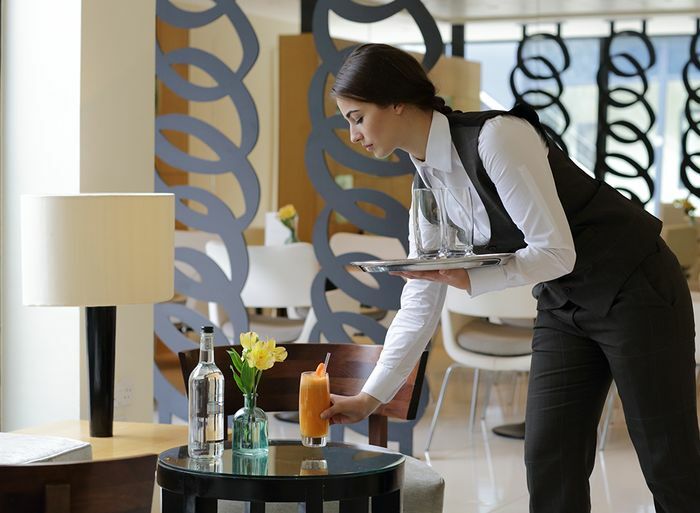 From the front desk to the restaurants and facilities areas, every member of staff you’ll encounter is courteous and affable yet not overly pally, which suited my “look after me, but leave me alone” state of mind at the time. No request is too grand, and that, dear friends, is real luxury. It’s best to visit the hotel on weekdays so as to avoid the crowds, but it’s still a big-enough place to get lost in and not bump into everyone staying or visiting. Unlike some other more vibey or hyped-up places, what I loved here was the joyfully random mix of guests and not running the risk that I’ll see someone I work with in the industry. No offence, but sometimes you don’t want to be “on,” know what I mean? The ESPA spa is a phone-free zone, so not only is it nice to have an enforced mini digital detox, it definitely makes the atmosphere more relaxed overall. There are multiple chill-out areas both within the spa and across the hotel, meaning you can almost always find a little corner to relax and be alone. My friend Rachel and I opted for different treatments with The Grove's Sequoia Spa (which features all of the best treatments from ESPA) so we could explore as many options as possible within a short window of time. If you aren't yet familiar with how ESPA works, let me summarise: The mantra of this adored beauty brand is to work holistically, adapting treatments and product usage to match your needs and state of well-being. Basically, they understand that you cannot implement a one-size-fits-all approach, and it therefore means you are fully considered and looked after during every stage of your ESPA experience. Your specialist involves you in the decision-making process: How do you want to feel? Which essential oils do you prefer the smell of right now? Which cream appeals to you more at the moment? Working on these subtle little tweaks just before your full treatment allows the process to feel bespoke and all the more worthwhile. I was treated to one of the brand's signature treatments, the ESPA Rebalance & Restore (£175 for one hour and 50 minutes). It promises to ease both physical and emotional stress with a ridiculously lavish combination of the following: a full-body massage with herb poultices (literally the cosiest, most indulgent thing I've ever experienced), a foot ritual, a full-body scrub, facial cleanse, polarity balance, marma point massage and a scalp massage. I cannot tell you at which point I fell into the most glorious deep sleep, but I've never been so relaxed in my life. I woke rejuvenated with better-looking skin and those stubborn shoulder knots feeling noticeably looser. Rachel experienced the ESPA Inner Calm Massage which is part of the Personalised Massage collection (£145 for one hour and 20 minutes) and included a full-body aromatherapy massage, scalp massage with rose quartz crystals and more. Delightful. After a very busy time moving between the sauna and the Sequoia spa pool (life is tough, huh? ), one builds up an appetite. What's great about The Grove is that you have the super-healthy, very zen options available but also some more naughty ones. We had a light lunch at the spa's Juice Bar, which felt like just the ticket when looking after oneself. Amy had been enthusiastic about the treatments and the hotel overall when encouraging me to go there, but the thing she harped on about the most? The buffet! I wasn't convinced initially considering all of my previous buffet experiences have been pretty poor, but The Glasshouse restaurant pushes the concept into a new, delicious realm. It is currently now being refurbished (but never fear, there are multiple other restaurants within the hotel), but when it reopens in May 2019, what you'll discover is a global tour-de-force of culinary delights. You can opt for something healthy and light, like sushi, or go all in for roasted meats and crispy potatoes. There are starters and salads galore and every kind of dessert you could possibly imagine. This makes it particularly brilliant if you're in a party where people have different intolerances, diets and allergies—Rachel unfortunately has a lot of no-no foods these days, but this offered up so many brilliant alternatives for her, and it didn't feel like a compromise at all. Although it was frrreezing cold when we visited, we couldn't help but want to walk around the beautifully maintained grounds and opt in for a quick cycle around the hotel's two tracks. You simply hop on a bike and go, feeling a million, trillion miles away from your hometown and the hustle and bustle of the life you will have to head back to (sorry). Next, read up on the best ever makeup remover.